Commercial Irrigation & Turf understands you have a lot of questions. After all, you have considered the home irrigation system Champaign IL neighbors own, but still have concerns. For that reason, trust our 30 years of expertise to guide you. In order to address your specific concerns, call us today at 217-398-1494 or contact us online to request more information. 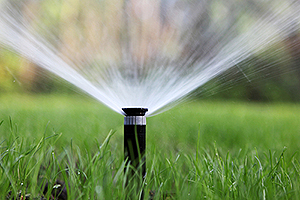 Our Credentials – Yes, we are the irrigation contractors residential and commercial clients have chosen for 30 years. Our employees are the strength of our business. All of our staff receives “hands-on” training in all aspects of the system installation and construction process. Our Quality – We use all components that are of professional grade and engineered, manufactured, and tested to give years of trouble free service. We stand by our products for two years and our workmanship for one year. Our Speed – The average home irrigation system takes us only a day or two to install. We use the finest equipment to pull the pipe through your lawn. Our Attention to Detail – Each lawn sprinkler system design is different for every home. We give you a layout plan that best fits the needs of your garden or yard before the installation. Furthermore, our crews are trained to protect your existing landscape and plant material. As a result, seams in the turf disappear in only a few weeks. Our Systems Are Easy – We automate our irrigation systems with an independent control station. With options for start times, watering schedules and even rain shut-off capabilities, you will be glad to know your sprinkler system is there to protect your yard even when you are away. Our Service – It is a good idea to check the performance of your home irrigation system during the peak watering season. You want to make sure water is being applied as needed to all of your green spaces. For that reason, we offer this service during the summer months if you choose. Mid-season service checks ensure your system is working and performing at its optimum. 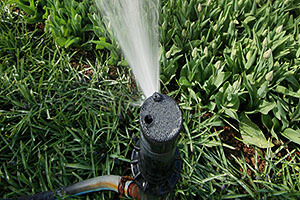 Since you want the home irrigation system Champaign IL locals trust, work with Commercial Irrigation & Turf. We have delivered on our promise of fast, quality products and service for more than 30 years. As a result, our clients consider us as Central Illinois’ best irrigation company.